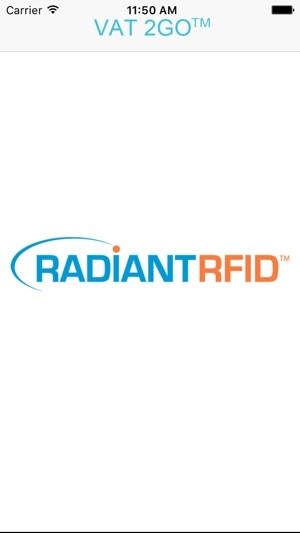 VAT 2Go is the mobile companion app to Radiant RFID's Virtual Asset Tracker (VAT) asset management solution that performs fast, accurate inventory. The app enables users to perform all of the functions of a traditional RFID handheld reader with his or her own smartphone, including asset association, inventory, item-level asset search, and asset replacement. VAT2Go supports various Bluetooth connected RFID readers. was working on my iphone 8, cant open on my iphone X. Copyright © 2008-2019 Radiant RFID. All Rights Reserved.